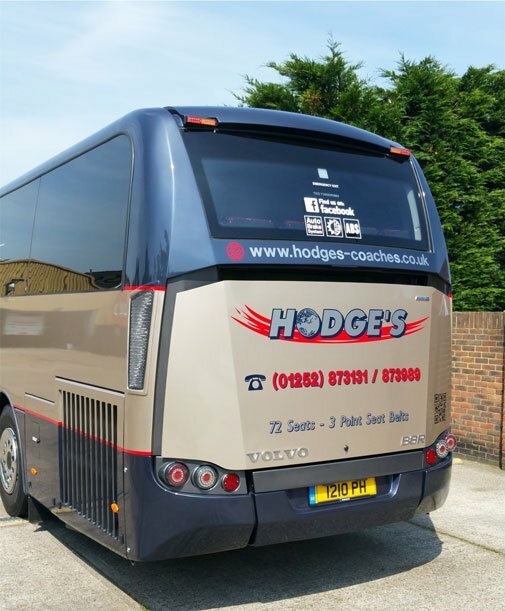 Our 72 seater comes with 3 point belts and is mounted on a VOLVO B8R chassis with air ride and an LEZ compliant Eco Friendly Euro 6 engine. 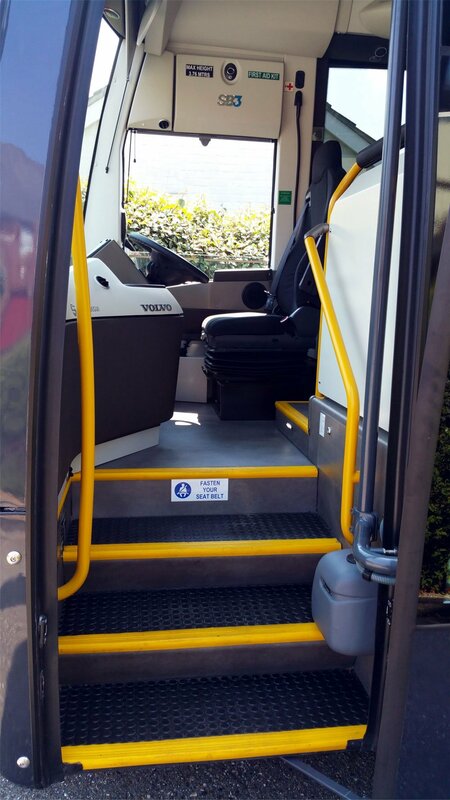 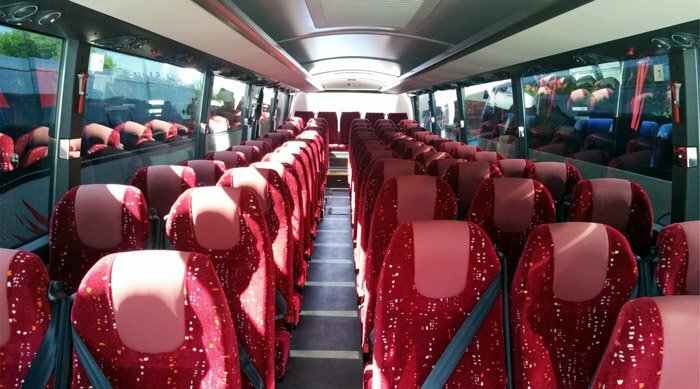 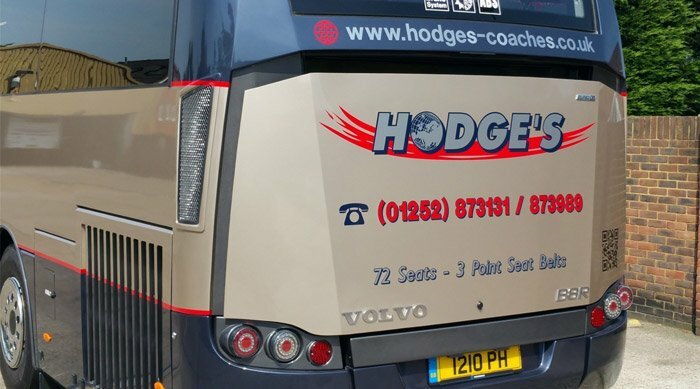 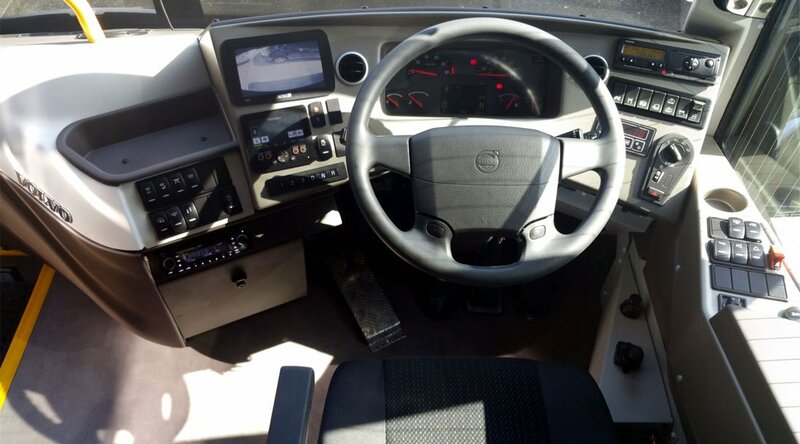 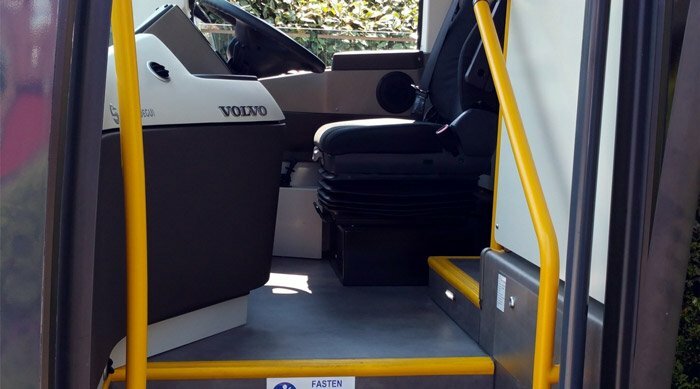 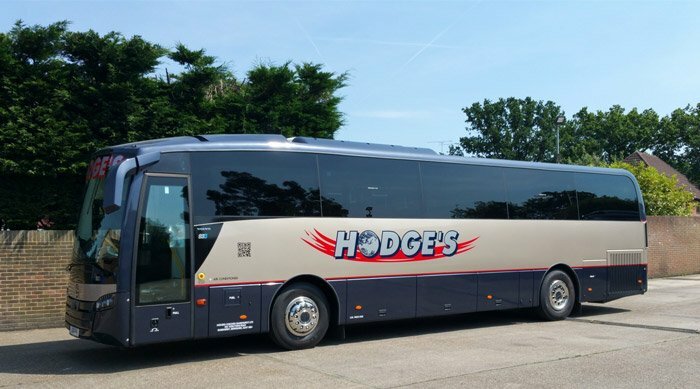 Our 72 seater comes with 3 point belts and is mounted on a VOLVO B8R chassis with air ride and an LEZ compliant Eco-Friendly Euro 6 engine, this vehicle has air-conditioning and a fully Automatic ZF Gearbox fitted to ensure your journey is as smooth as possible. The big advantage of our 72 seater coaches is cost, it’s a lot cheaper to hire one high capacity vehicle than two lower capacity ones so the cost per head drops and you can fit two classes in one vehicle.